"Paint Your Wagon may be set nearly 175 years ago, but the themes featured in the show still ring true today." "Paint Your Wagon honors the beautiful songs of Lerner and Loewe while simultaneously telling a modern, thoughtful story of a moment in American history when people from a range of origins all came together. Representation matters, and it's so exciting to see it onstage at the Ordway." 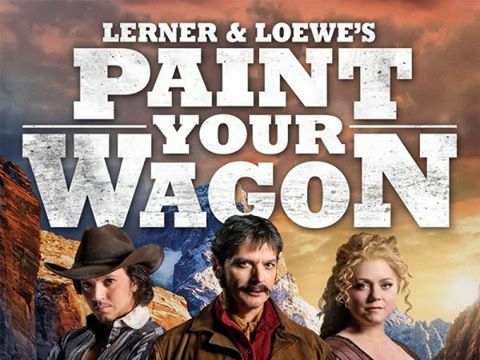 "Anyone who already knows they like musical theatre– go see this production of Paint Your Wagon. The End." "Anyone who is a fan of traditional musical theater should be sure to see this show before it leaves town." "This thrilling story of the beginnings of the American West (think Deadwood the musical, only with significantly less cursing) with a beautifully diverse cast has rescued this gorgeous Western and Mexican influenced score from the place where problematic old musicals go to die."